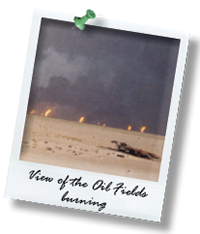 We invite you to help us produce a feature documentary “Women At War,” about female soldiers’ experiences during 1991’s Operation Desert Storm and their subsequent battles with Gulf War illnesses since they’ve returned home. WINNER of the 2006 Roy W. Dean Grant. We are grateful for donations of any amount. Be a part of this film. HELP US MAKE A DIFFERENCE FOR OUR VETERANS. We are currently accepting tax-deductible donations toward the completion of “Women At War: Forgotten Female Veterans of Desert Storm.” All donations are tax deductible through the International Documentary Association, a 501 (c) (3) fiscal sponsor. DONATIONS BY CHECK: Please click here to download a printable PDF document of the donation form. ON-LINE DONATIONS BY CREDIT CARD: Secure credit card donations (Visa, MasterCard and American Express) can be made to "Women At War: Forgotten Female Veterans of Desert Storm" through the International Documentary Association website via Paypal. To donate online, click here. If you would like more information, are interested in hosting a fundraising party or know others who would like to donate, please contact us: info@womenatwarmovie.com.